Many thanks to Time to Roam for running the story on our recent win at the CCIA awards last week in Sydney! We couldn’t be more proud!! 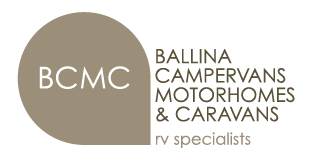 “Ballina Campervans, Motorhomes & Caravans (BCMC) continues to dial up the volume on its business success this year – being recognised on both a local and a national level. Not only was it the winner of the ‘Business Excellence’ award at the Ballina Coast & Hinterland Business Awards in August, but earlier this week, Clayton Kearney, Managing Director of BCMC and Horizon Motorhomes was incredibly pleased to take home a top award at the NSW Caravan Camping Industry Association (CCIA) Awards.